A building and pest inspection is a service required by anyone wanting to purchase a home. Both the building inspection and the pest inspection must be carried out by a qualified tradesperson. Many people have been caught out by not having a professional inspection done before they buy a home. Finding unwanted guests like termites is not what anyone wants so a thorough check of the home is crucial. The purpose of a building and pest inspection is to check the integrity of the structure for building errors and timber pest activity. Using a company that has a sound understanding of both aspects of the inspection can be the difference between a good and a bad buy. If a serious problem is missed by the inspector the new homeowner could end up with costly repairs. So is it best to hire the professional services of a company that can arrange both the building inspection and the pest inspection at the same time? Or should the inspection be carried out by two separately licensed individuals? We will talk later in this article about the pros and cons of using one technician for both inspections. 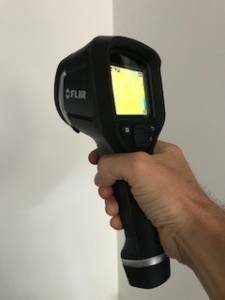 What Gets Checked During A building and Pest Inspection? During the pest inspection of a home, everything has to be inspected to ensure there are no timber pests present. The inspection process will include both the internal and external of the house and the gardens. All areas within 30 meters of the main building will have to be inspected for termite activity. The inspection will have to include all accessible areas on the property. The pest inspector will have to determine the accessibility of an area during the inspection. This will be determined by the conditions they face at the time of the inspection. All access will have to comply with the occupational health and safety standards as stated in the AS 4349.3.2010. Reasonable access to a man-hole cover is no less than 400×500 in size and the crawl space more than 600×600. The man-hole cover will have to be reachable by a maximum of a 3.6-metre ladder. External areas for inspection are carports, sheds, laundry, detached or semi-detached buildings. Other areas include retaining walls, paths, driveways, steps and fences. The inspection of a building will include all built-in items plus roof voids, sub-floors and wall exteriors. Areas that are excluded would be furniture. Furnishings, clothing, stored items and concealed timbers. Also, areas where there may be limited or no access such as locked rooms. It is not for the inspector to unscrew panels, cut or move objects during the termite inspection process. 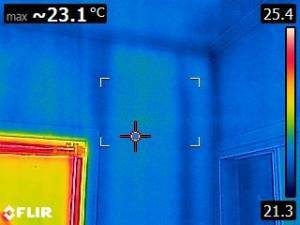 The building inspection will follow the same guidelines as the pest inspection. The building inspector is looking more for building defects. The defects would include items like broken drain pipes, leaking taps, and unsafe structures on the property. The inspection must be carried out by a licensed builder. As with the termite inspection, all areas within the main structure that allow reasonable access will have to be inspected. These areas include roof-voids and sub-floors. Having a qualified builder inspect a home before the purchase could save thousands down the track in building repair works. The Process To Buying A Home. Buying a house can be a daunting process but with the right advice and people around you, it doesn’t have to be. The first thing to do is hire the services of a professional solicitor preferably one that deals in housing contracts. Having the right solicitor can save you thousands down the track. The contract for purchasing a house will have a cooling off period. It’s important your solicitor has the contract to read before the cooling off period expires. After a solicitor has read through the contract it’s time to engage a company to carry out the building and the pest inspection. Once the inspections have been completed you must read through the inspection reports thoroughly. If you are a first home buyer it may be wise to get either your solicitor or a family member to also read through the reports. All house contracts should be signed with a clause subject to finance and the satisfaction of the building and pest inspection reports. Do not risk buying a house without having a professional inspection carried out to check for termites and the condition of the house. The reports could save you thousands down the track especially where termites are found. The question many new home buyers ask is who they should get to carry out the two inspections. Should they have two separate contractors to do the service or go with one person that does both inspections? This is something to bear in mind when considering getting both a building and a pest inspection done. An inspector cannot do the building inspection, but a builder can do the pest inspection if they have a pest license. It’s relatively easy to obtain a pest control license it takes about two weeks to complete the course. It takes about five years to become a builder and even longer to become an inspector of buildings. The time it takes to become a qualified builder is what stops a licensed termite technician from obtaining a builders license. But there is a problem with using a qualified builder to do a termite inspection. That is they have never done any actual termite work, so they have no experience in dealing with termites. Most builders that do a building and pest inspection don’t carry out any actual termite treatments. If termites are found they will offload that to another company or someone they know that deals in just termites. At the end of the day, builders are not termite experts and pest controllers are not building experts. So it’s best to hire separate inspectors to carry out your next building and pest inspection. This way you are sure that each inspector has sufficient knowledge of their industry. 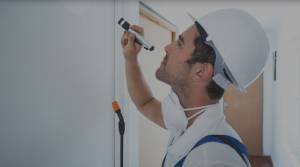 Most pest management companies will have a builder that they call upon to carry out the building inspections for them. This means that the customer only has to deal with one company, usually the pest control company to arrange both inspections. 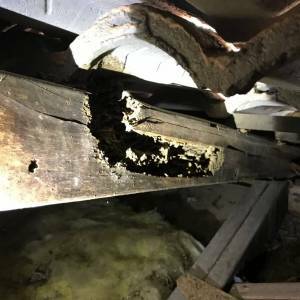 When booking a company to do a structural building inspection and also a pest inspection it’s best to ask a few questions before committing to that company. Ask how many inspectors are present at the time of the inspection. If it’s just one then you know that it will be primarily a builder doing the inspection. As explained earlier if it’s just one inspector there’s a good chance their main skill sets will be in the building industry. Always ask if the company has appropriate insurance cover. All pest control companies should have insurance, but unfortunately many don’t. Also, ask what their pest control license number is and if they have a QBCC license. All builders and pest technicians that deal in timber pests must hold a current QBCC license. Ask how long the company has been in business this will give you an idea of their experience levels. Obviously, the main thing most customers want to know is the price. The price for a building and pest inspection will vary a lot from company to company. As mentioned earlier a full professional inspection of a home for termites and it’s structural integrity is crucial for anyone wanting to purchase a home. Don’t risk it to an inexperienced company. The saying goes you only get what you pay for, and unfortunately, that is certainly the case with termite inspections. Here at Sunnystate Pest Control, we offer detailed termite inspections for all homeowners. Our reports are emailed shortly after the inspection is complete. 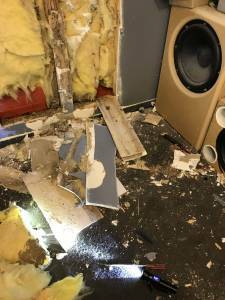 I hope this article has been of some help our website is full of useful information in all areas of pest control and termites please have a look. Also, feel free to leave your comments below.